Whether you are a new business or already have a website but are looking at a redesign, we can help. We work hard to produce great-looking, flexible, powerful, easy to use, responsive websites delivered to all types of business and level of budget. We provide more than a just a graphic web designer. 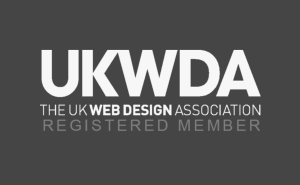 You get an experienced business analyst, marketing / sales exec and professional copywriter, designer and trainer to deliver your project – that’s effective business web design! 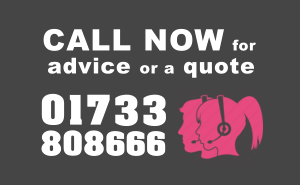 So call us on 01733 808666. It sounds obvious but like any element of your business and marketing activity, building a website will require planning, setting objectives and goals. We often find that clients do not have the time, resources or skills required to sit down and create the finished content for their website. Writing the content for a website might sound like a quick and easy job however as anyone who has attempted it knows well, it takes time and skill to explain a business message and simplify information so that it stands out on the web. Also your copy must be original and written specifically for the website to rank well in the search engines. 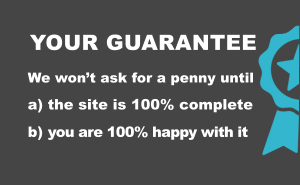 Chances are you are investing in your website because you want to attract customers and prospects. You probably want them to see what products or services you offer. Putting your website in front of web users who use the web to search is called Search Engine Optimisation – commonly referred to as SEO. We start 99% of our website projects with an SEO first approach. We know the basic proven steps to take to get a new business or an under-performing website up in the search engines – just see some of our client testimonials! We will create a unique design to frame you unique business on the web. Using the latest content management systems (often Wordpress) we will create your website drawing from the agreed content and structure together with bespoke graphics, your own pictures or stock images that we supply, along with cutting edge transitions, features and effects. When the design is signed off and we set a launch date, you might think it is time to relax - not so for us. In order for your website to really make its mark there will be a number of further steps required. Not all 'web designers' go this far but we do. These steps ensure that all new websites produced by Qi have the best possible foundations for a prosperous existence. Do you keep hearing the term "Responsive Website"? The reason is this style of website has become the industry standard in recent times. Responsive web design allows you to build and operate one website to suit all devices by re-sizing your site depending upon the screen size. The text will alter in size to keep it readable and the presentation will go from multiple columns on a PC to one thin column on a mobile phone. This technology means that all users will find a view suitable to their device and will thus remain on the site longer as they will not need to zoom and scroll to read the content. Google recommends responsive web design as the solution to the multiple screen sizes problem and whats more they reward responsive websites with higher search rankings. So building a responsive website will reap benefits not only for usability but also for search engine optimisation (SEO).